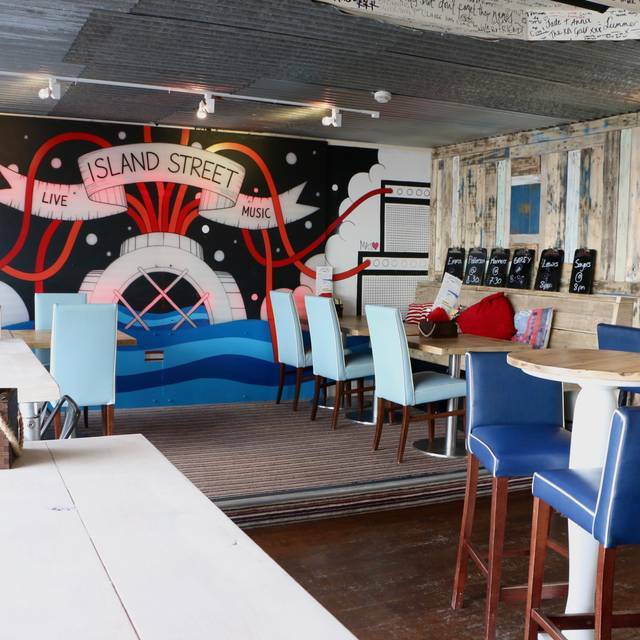 Established in March 2010, Island Street Bar and Grill has become the place to be in Salcombe to meet with friends and family for good times. Halfway along Island Street with a terrace hanging over the water’s edge it’s the perfect place to sit and chill. 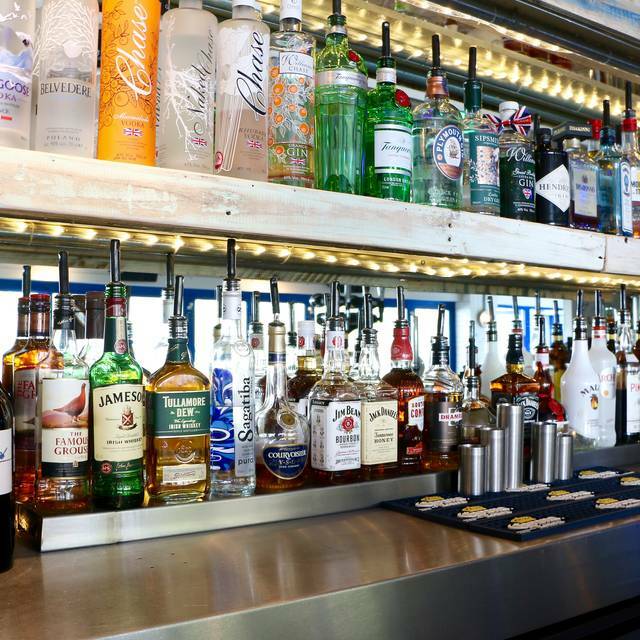 The Bar and Grill is famed for its quality burgers, seafood and cocktails as well as its live music events, so expect an upbeat and buzzing atmosphere. We’re open for lazy lunches and livelier evenings (as well as breakfast during peak season). Please keep an eye on seasonal opening times and let the good time roll! We have seasonal opening times, so make sure to check back often to find out when we're open! Devon Red Cheese, Smokey Back Bacon, Spicy Chorizo, Chopped Jalapenos. Fully Loaded!! Great atmosphere, friendly staff! Live music on Saturday nights too! Well worth a visit! We went here on Saturday night (party of 4) as we are regular visitors to the sister restaurant - the winking prawn which is lovely. Our waitress was very nice but the food was quite literally... horrible. We ordered halloumi whilst we read the menu- it was inedible. Raw halloumi swimming in extremely potent garlic oil. They did take this off the bill as we didn’t touch it. Starters: mussels were full of grit and minuscule. They were clearly not fresh. Prawns were over cooked and tasteless. Ribs were nice & crab croquettes were fine. Mains: 2 crab salads (one with a pepper allergy which we told the waitress- peppers were not listed on the menu but we mentioned it anyway) the person with the pepper allergy was served a salad with peppers in. Jerk chicken: was fine. Just a piece of chicken with some rice, can’t do much wrong. Scallops & prawns- absolutely the worst meal I have had out in devon ever. And at nearly £20. The prawns were so over cooked I couldn’t peel them. The scallops were over cooked too. The meal was just awful. I never complain. I never write reviews. But that was hands down the worst meal I have ever eaten in a restaurant, and it is a huge shame as it could be lovely. Nice place , great cocktails but food a let down , expected better . Always good service and buzzy atmosphere - burgers and Peroni unbeatable! The food was acceptable without being outstanding but we chose the venue for the evening and live music which was very good and the staff and service were excellent. Very enjoyable and delicious. Lovely atmosphere and very attentive staff. Great food, atmosphere and service as always especially the Moules & Frites! The meal started so well. Yummy cocktails and the service to begin with was great. We got our food, and after that we were completely forgotten about. No offer of dessert menus, and we had to wait 50 minutes for our bill. In the meantime, they were trying to set up the live music around us, and were so desperate to try and get us to move that they opened the doors directly where we were sat (it was tipping it down outside, and cold). All they needed to do was sort our bill out, which we had asked for several times, and we would have happily moved for them. It was such a shame. The food was amazing and the staff were very helpful. We went on a quiet week night but had great service.The food was delicious and had a lovely view over the estuary.Would highly recommend. Atmosphere is great, waiting team are really good, cocktails were good value at happy hour. Food is okay only - vegetarian options are very limited, the mac and cheese was really disappointing, coleslaw portions tiny. 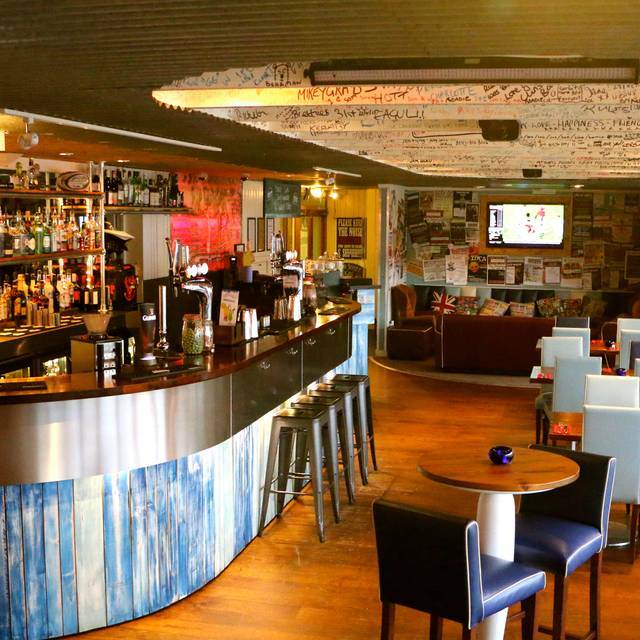 It's a good venue for a gathering and a fun evening out Friday and Saturday. Food was good. Long wait between starter and mains arriving. Child's pasta came out cold however. Sticky table was a bit off putting! Love a trip to Island street when we're in Salcombe. Always great food and service. Food was excellent. Very nice atmosphere and enjoyed sitting outside overlooking boats. Waiters very friendly and polite but food was slow to arrive. Saying that worth the wait as we were enjoying the ambience. Really glad to have booked and enjoyed the food, location and service very good. Great place for gluten free too. Noisy birthday party/ large group which meant we chose to go somewhere else for pudd as difficult to hear each other- a family group of 5 adults- but not unpleasant to complain about. Tasty food, friendly service and nice waterside view. A nice evening meal. Excellent as always. Great food, great service, great price. Food was good and plentiful. Service good and restaurant manager most helpful. Need to get Allergy listings correct; chips/sweet potato fried in egg and Ribs have anchovy in sauce but egg of fish respectively not mentioned in the allergy menu. Can I suggest that all fries are cooked on their own - that way allergy and vegetarians can eat freely. And that the chef takes the time to correct every error in the allergy list. This restaurant was not what we expected having visited the 'Winking Prawn' in the same group of restaurants and which serves excellent food time after time. We were asked if our meal was enjoyable but when we gave feedback The comments were ignored. A cracking afternoon was spent here with great mates. Food was excellent and well priced. A 1pm start ended at 9.30pm! Great food, great drinks (2-4-1 cocktails on Fri eves) and superb friendly service. Great friendly service, very efficient with no delay. good value for money. fantastic food. We had a great dinner here. Very attentive & friendly waiters, food was delicious and the restaurant just had a lovely relaxed feeling. Varied menu which we plus kids all enjoyed. Great food, and great atmosphere. Meeting Andy Jordan there was a highlight!